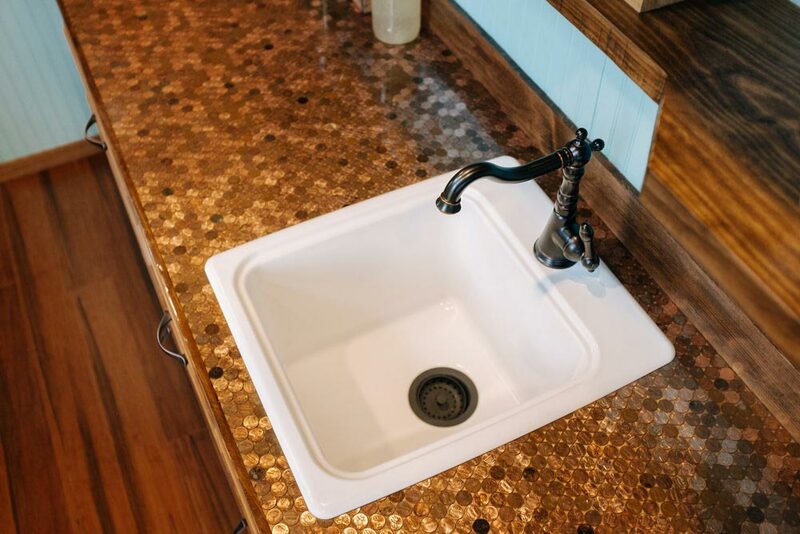 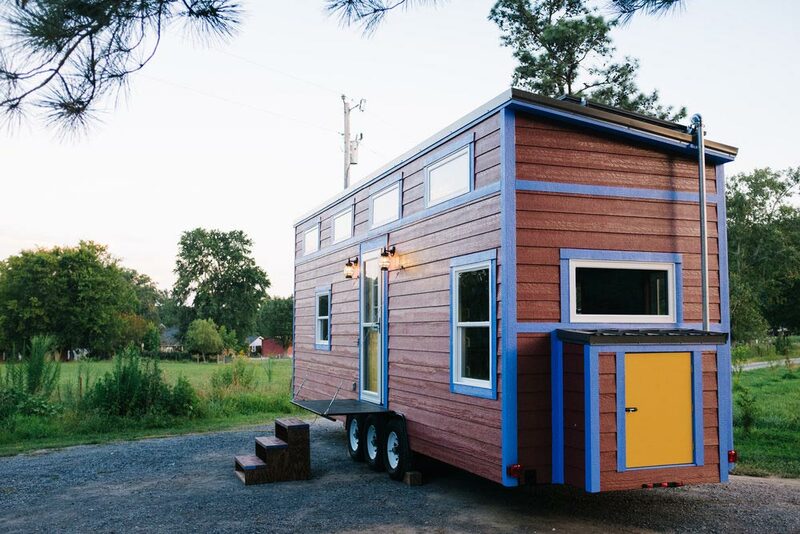 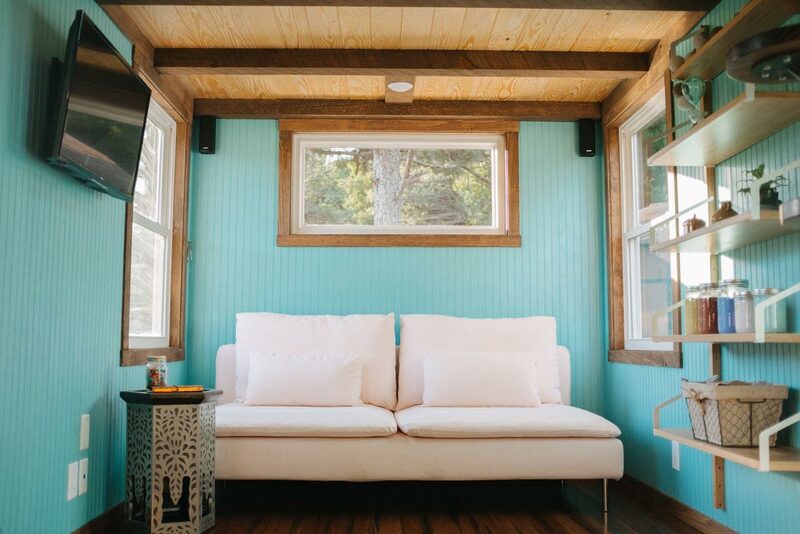 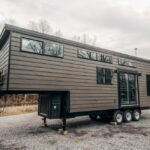 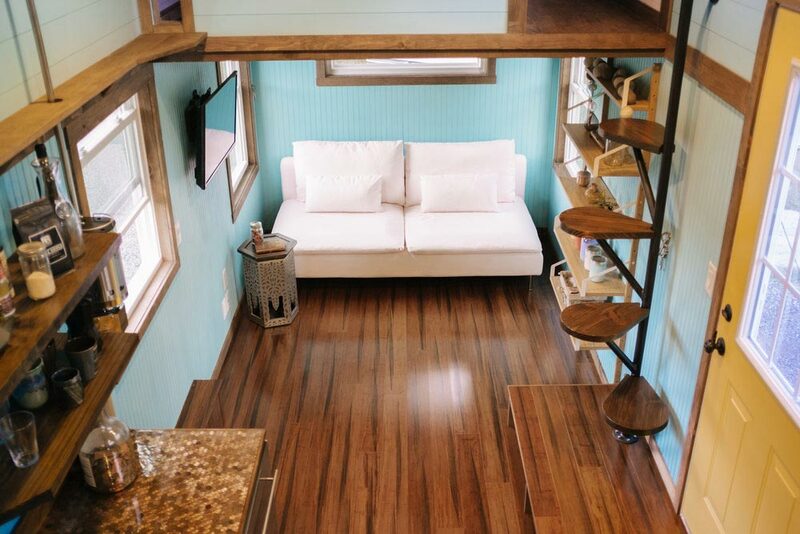 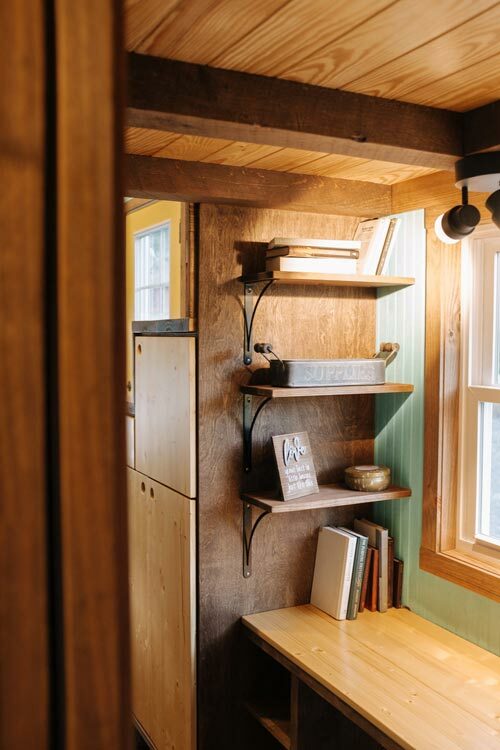 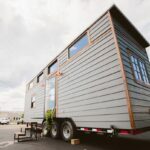 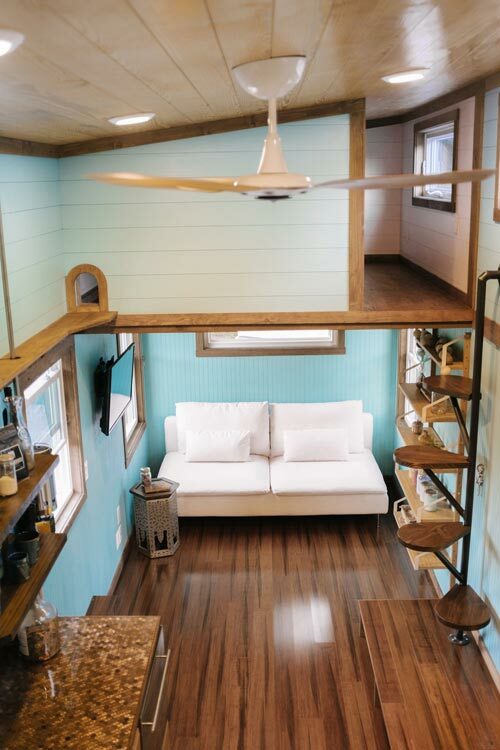 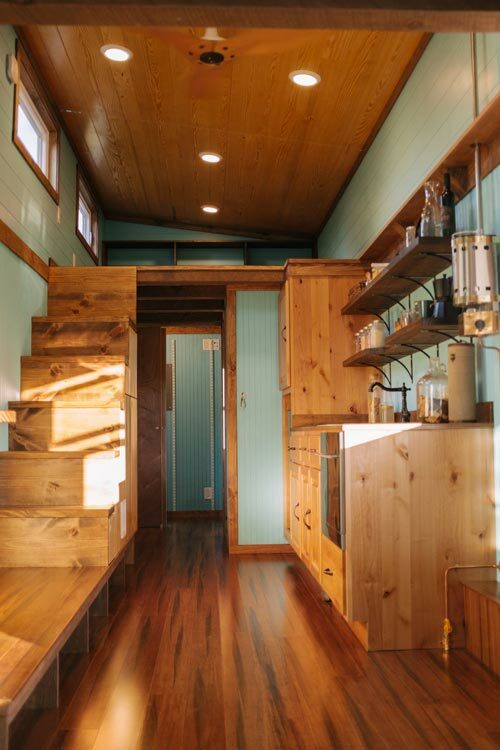 At 30-feet long, the Big Whimsy is one of the largest tiny homes built by Wind River Tiny Homes. 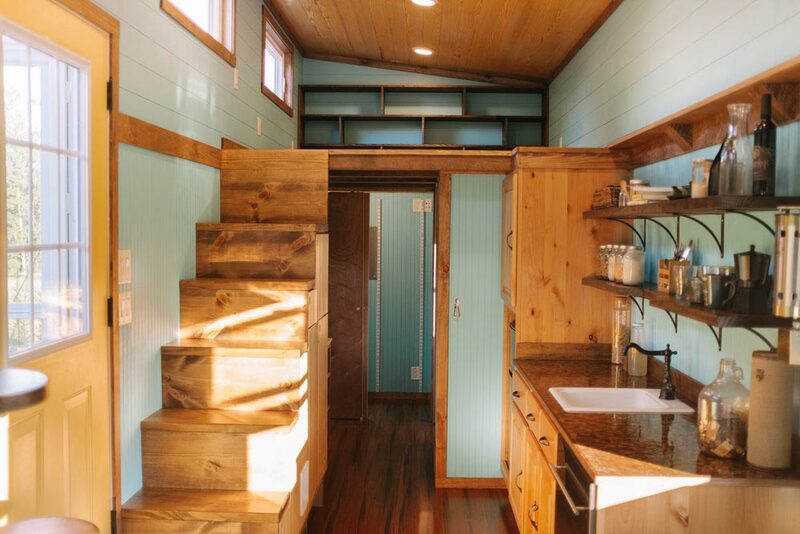 The extra spacious interior allows for two loft bedrooms, an office space with built-in desk, and a walk-in closet. 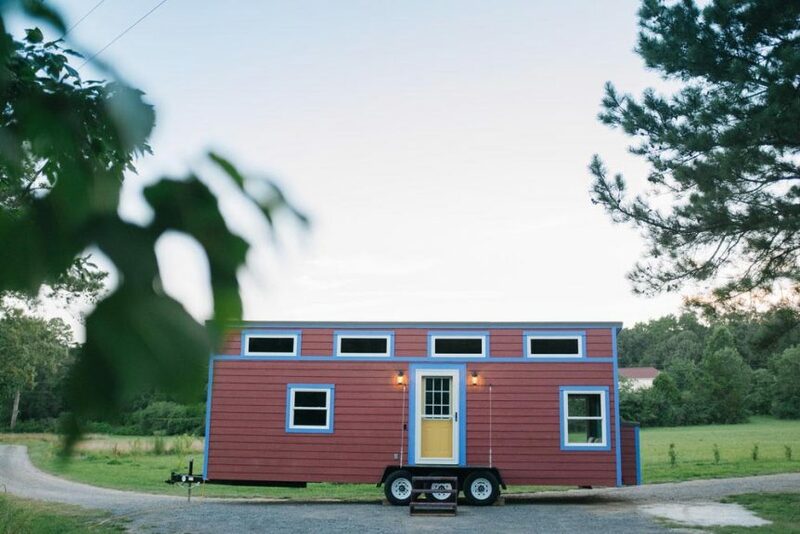 With its whimsical colors and bright accents, the Big Whimsy is the owner’s dream home brought to life. 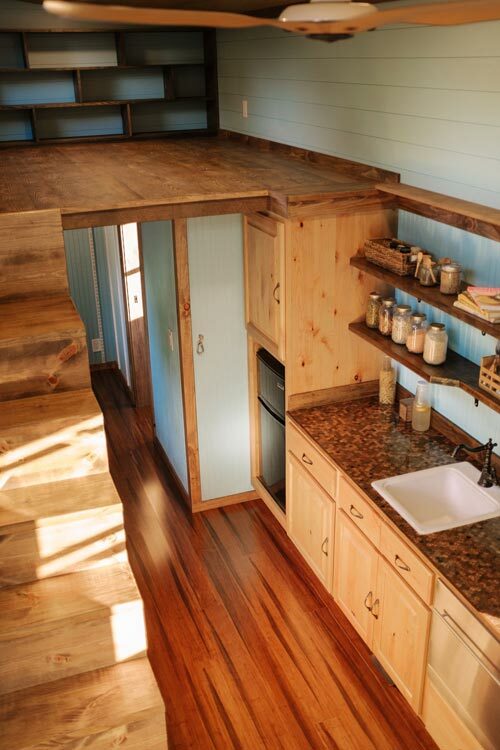 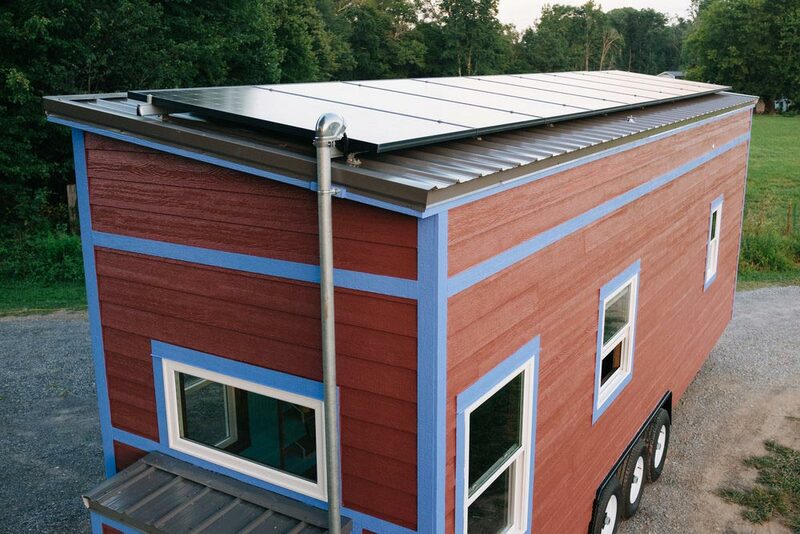 The tiny house is also built to go completely off-grid with its nine solar panels that feed four battery banks. 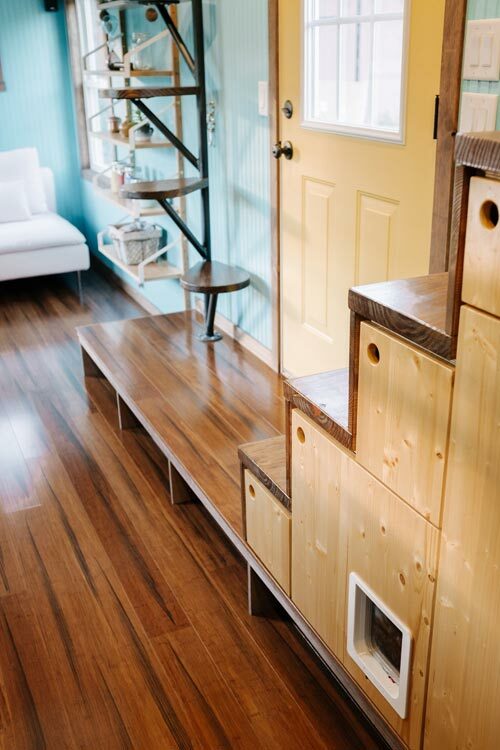 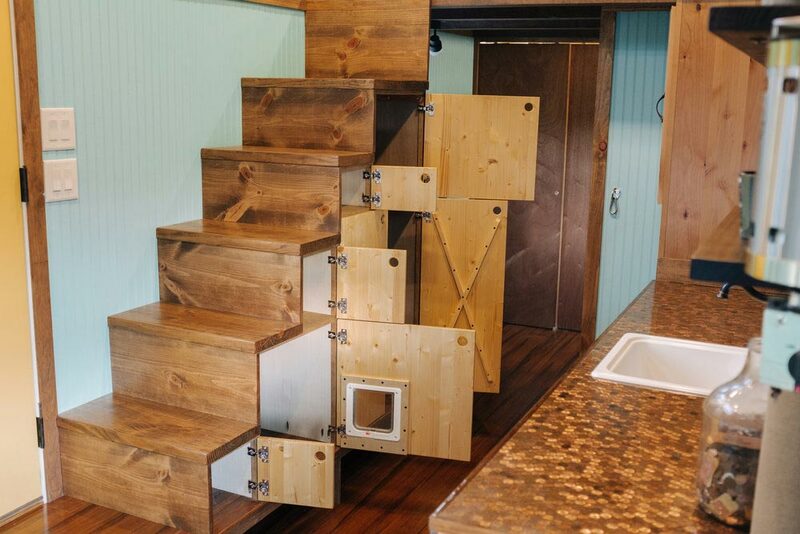 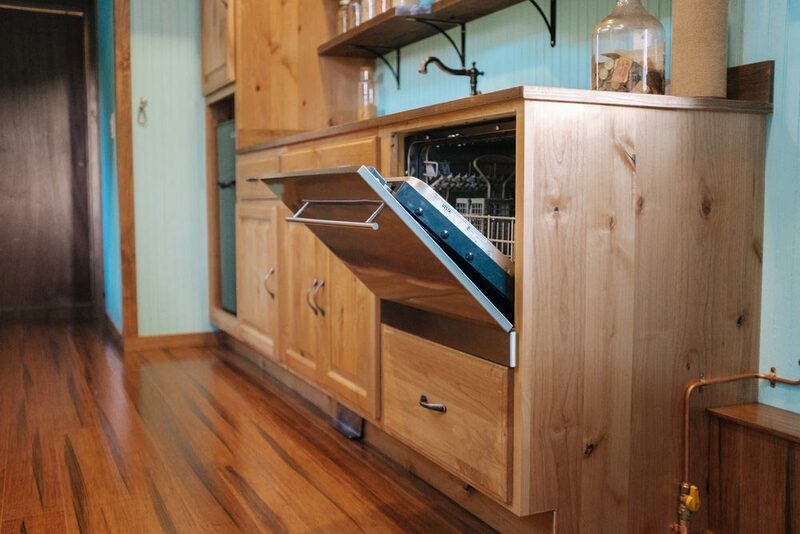 Inside, there are several unique features including a custom made lily pad spiral staircase, a 3,000+ copper penny kitchen countertop, a catwalk and hidden kitty litter area, and anchors to set up two hammocks. 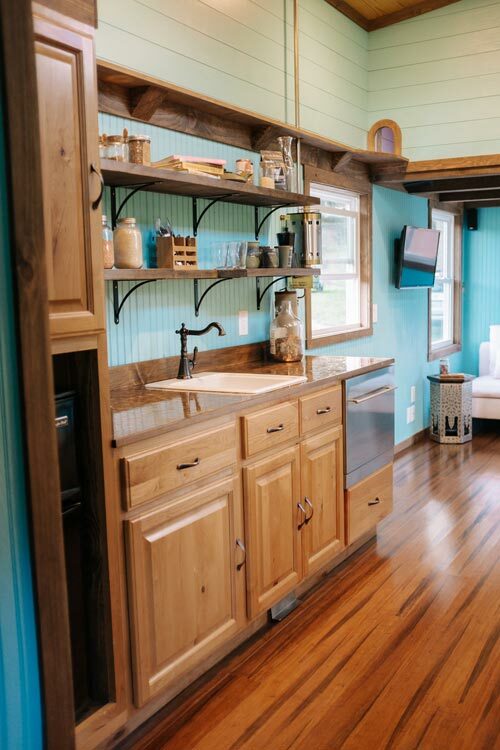 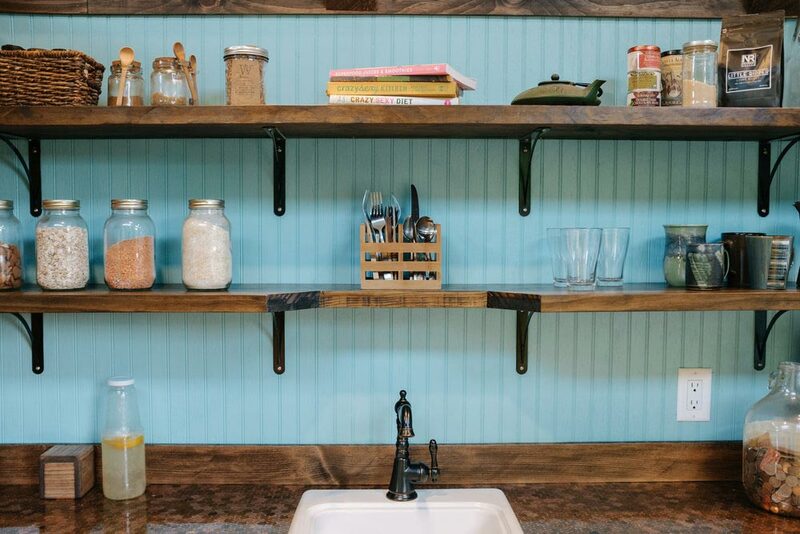 The owner isn’t much of a cook, so she opted for a simple kitchen with small refrigerator and a propane cooktop that stores away when not in use. 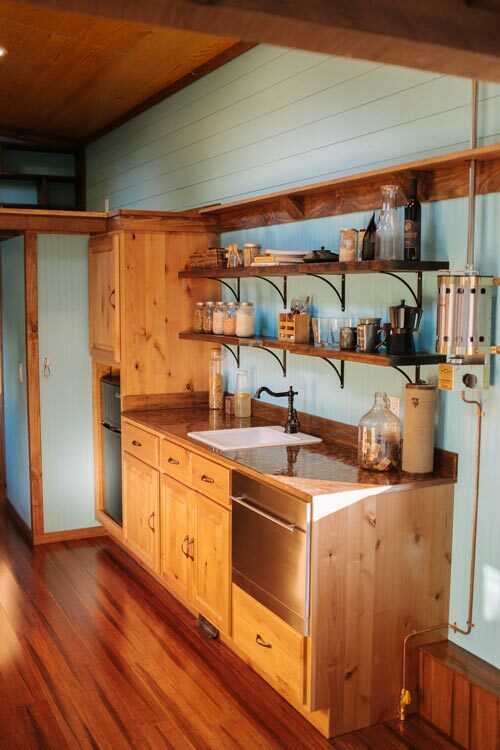 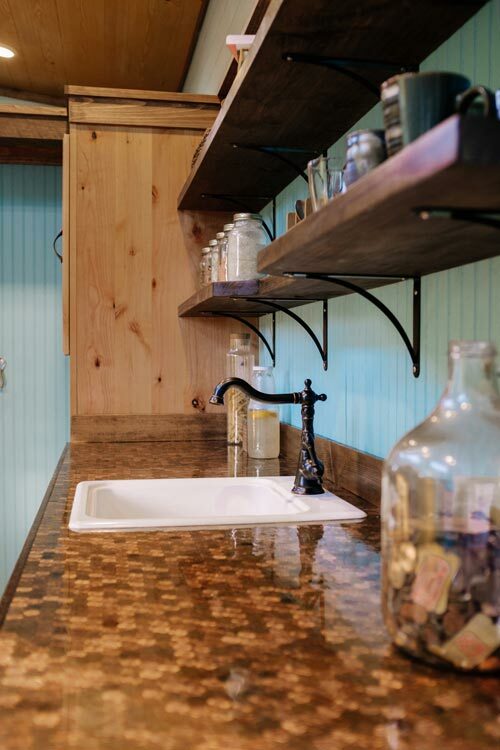 In the bathroom is a reclaimed glass tile shower and a composting toilet. 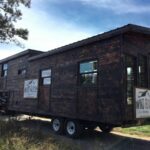 For more information about the Big Whimsy, check out Wind River’s video tour on Facebook. 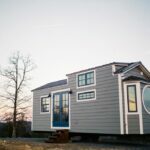 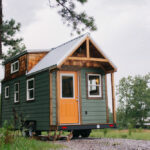 Also available from Wind River Tiny Homes: Noah, Silhouette, Ironclad, Monocle, Phoenix, Nomad’s Nest, Wind River Bungalow, Triton, Mayflower, Rook, Chimera.